Hello Friends, Excited to see our post right..! We are here back to contribute to our education society on this Independence Day. 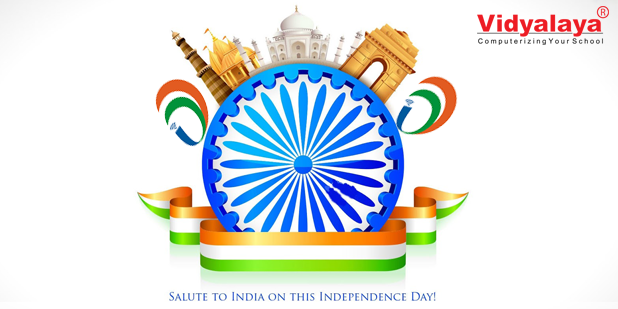 As we all know we are celebrating the 71st year of our Independence with the thought of “Unity In Diversity”. So long we have been saying this and also following this thought at our individuality. Today let’s reveal our education system with this Independence occasion and how it transformed with time within these years. “Independence,” the name itself says about freedom, unity, struggle, boldness, togetherness, fights, love, & peace. This year in 2017, India will celebrate Independence Day to pay tribute and remember all the freedom fighters who had contributed a lot and fought for the Nation. Also, our great ancestors paid to unity in diversity thought which we nowadays also follow. We have heard of our parents saying that Knowledge leads to unity, but ignorance leads to diversity. Education is something which gives hope to mankind for the growth of an individual. For educational society, It starts with you, If not you who? The answer is simple “us”. And Education World brings you great sites to explore, games to play, and lesson plans that will help your students recognize how our country became an independent nation. No one is independent if they do not try to convince their self-respect for the same. In today’s world, it’s hard to believe the society who wants education as their priorities. Today’s youth believe in “Tell me and I will forget, Show me I Will remember, and Involve me I will definitely learn”. Learning is the more basic perspective as of now in this high society where every individual is known by what they have been studying. Making a difference is everything rather than following the old path. Let us see the importance of Education during these years. Education helped us enable confidence in yourself. It helps to understand the difference between self-importance and self-respect. It provides us various types of knowledge about our potential and skills to grow within a period of time. It gives clarity to our vision. Our honorable prime minister Mr. Narendra Modi gave the whole country a vision for Digital India. So on this Independence Day let us walk on his path and give tribute to our country fighters by educating yourself and making others also educated. Join Vidyalaya now to modify the thinking to a modern one with each and every features easily available at your door. Also, stay connected to us for more such updates.